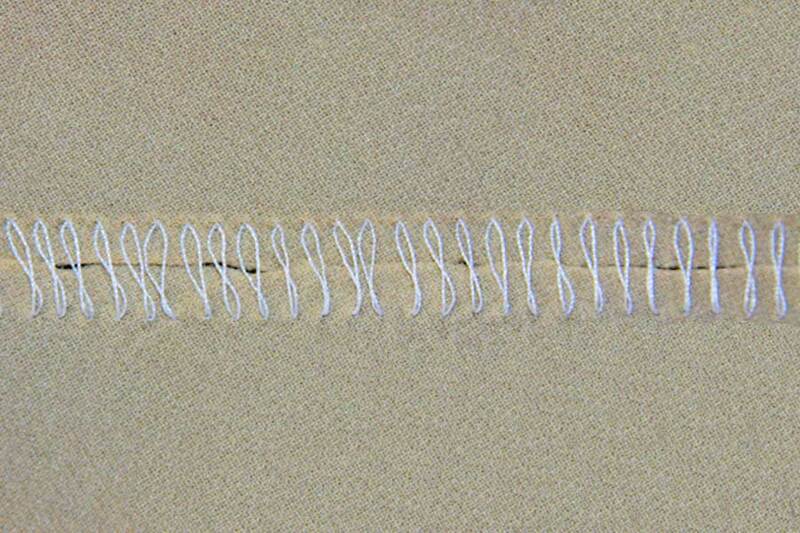 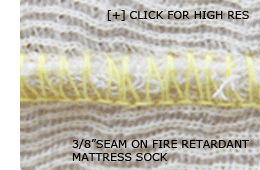 The MG-1DM stitch is a 3/8" butted seam sewn with fire retardant para-aramid thread. 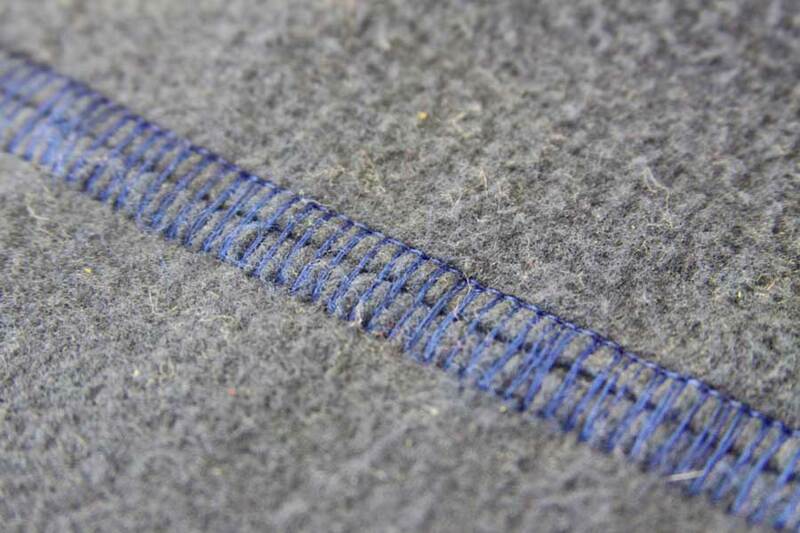 The seam is stronger, neater, and more cost effective than alternative joining methods. 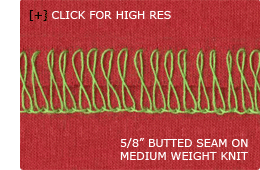 The Merrow 72-D3B-2 sews a flat 5/8" butted seam on knit material. 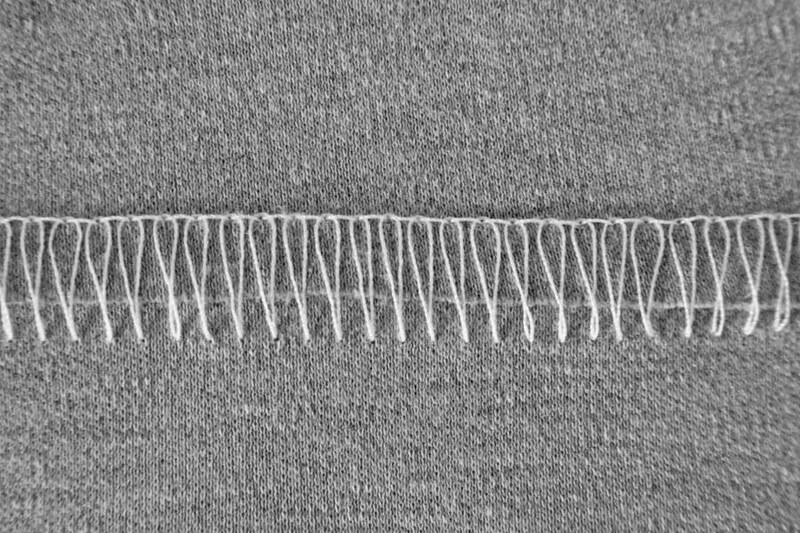 It has an extended feed system consisting of forward mounted cutters and an extra row of feed dogs to handle difficult fabric. 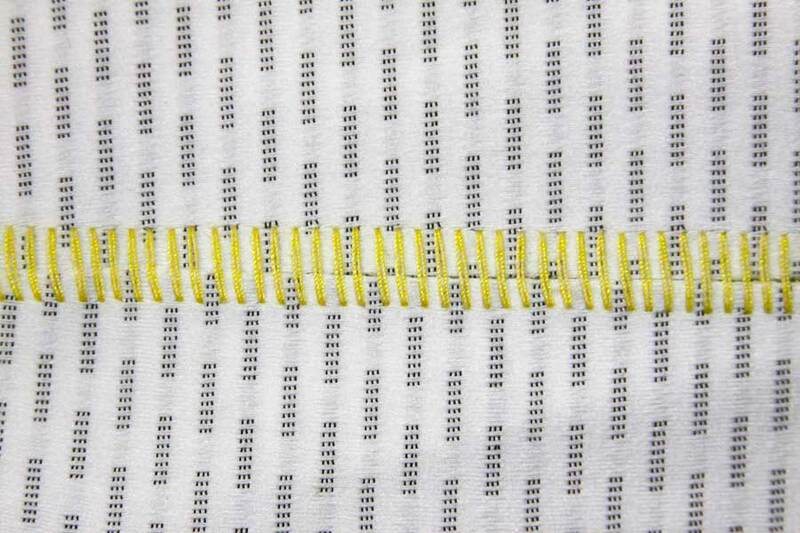 The feed system ensures that material is sewn evenly as it moves consistently across the work surface, allowing the 72-D3B-2 to operate without interrupting textile finishing processes. 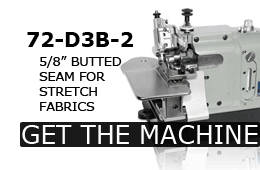 Additionally, the 72-D3B-2's larger presser foot and needle plate marks an advancement over Merrow's flagship 70 Class Machines, and furthers the 72-D3B-2's fabric handling capabilities. 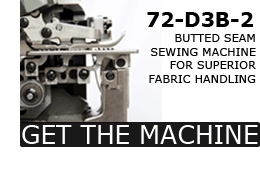 Like the 70 Class, Merrow's 72 Class Butted Seam Machines can be configured with a number of different options to meet the demands of virtually any application. 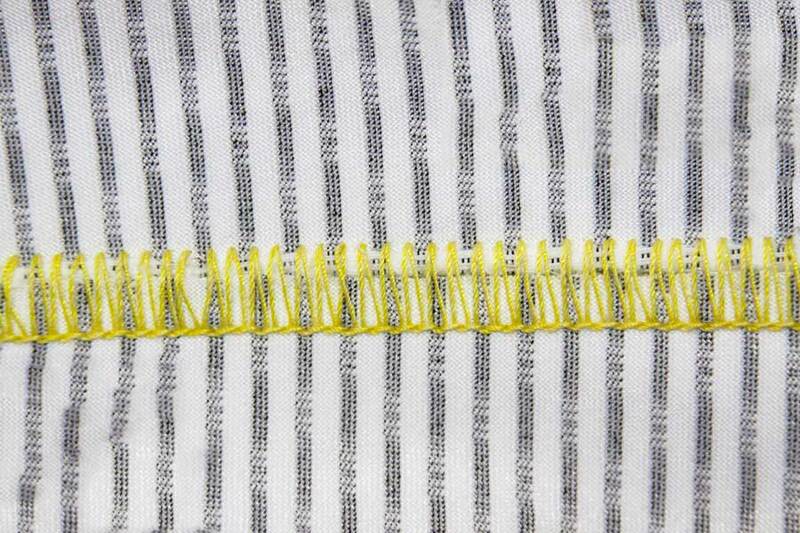 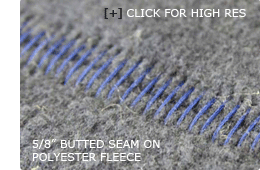 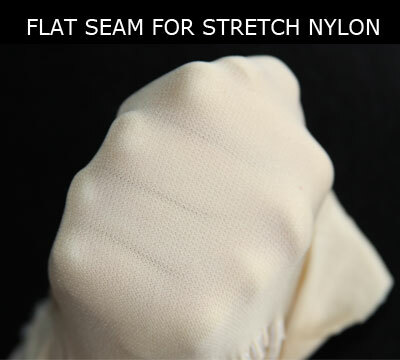 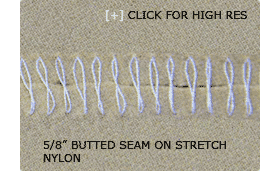 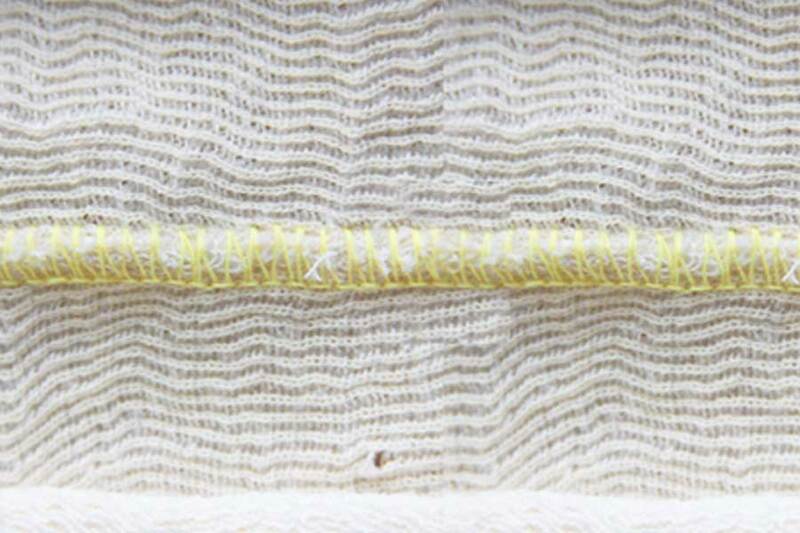 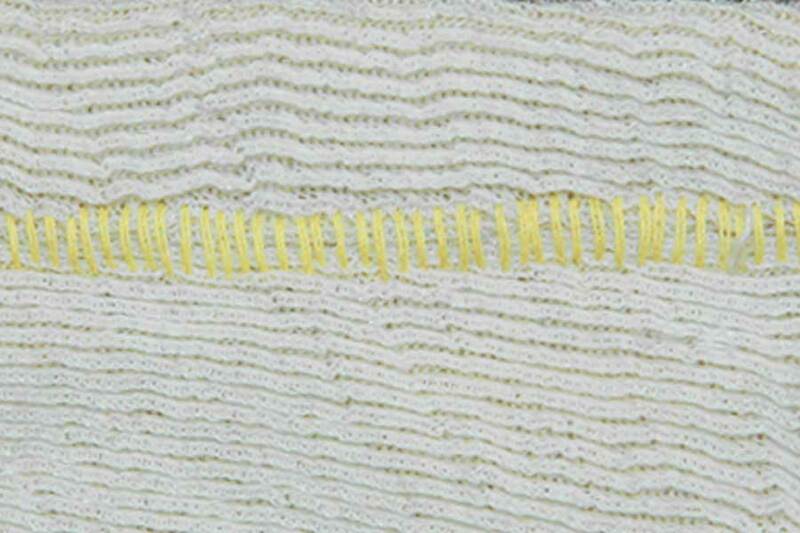 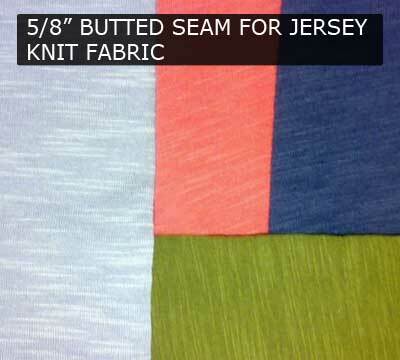 The Merrow Butted Seam for knit fabric is a flat 5/8" stitch that joins material end-to-end. 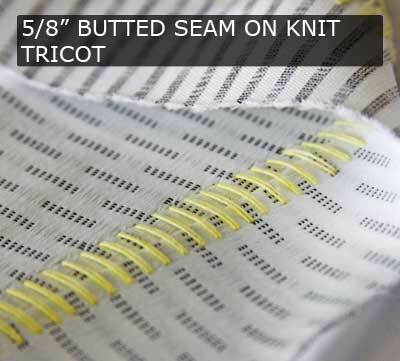 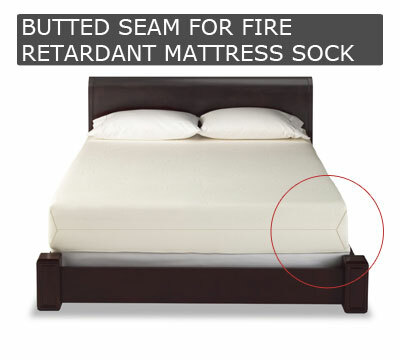 The Butted Seam for knits is meant to lay flat, allowing joined material to be processed without damage or interruption to textile processing equipment. 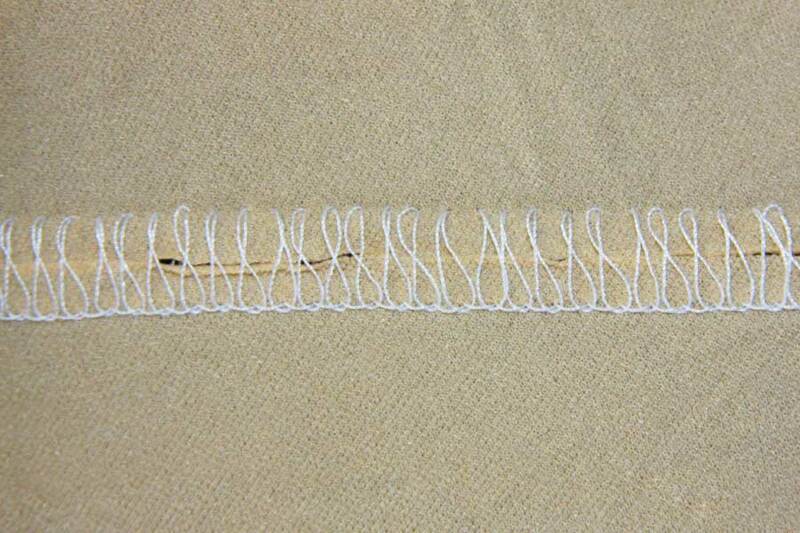 The Merrow 72-D3B-2 sews a flat 5/8" butted seam on knit fabric. 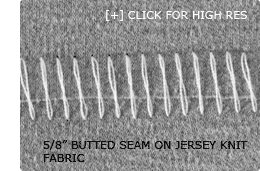 It has an extended feed system consisting of forward mounted cutters and an extra row of feed dogs to handle difficult fabric. 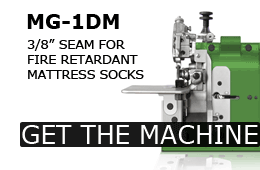 The feed system ensures that material is sewn evenly as it moves consistently across the work surface, allowing the 72-D3B-2 to operate without interrupting textile finishing processes. 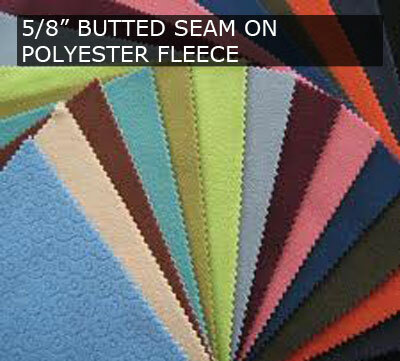 The Merrow Butted Seam for stretch nylon is sewn on the 72-D3B-2, which is designed for superior fabric handling. The 72-D3B-2 solves the curling problem common with stretch nylon via its exagerrated presser foot and extended feed system. 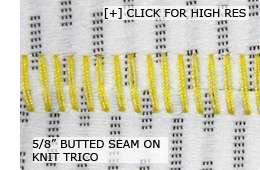 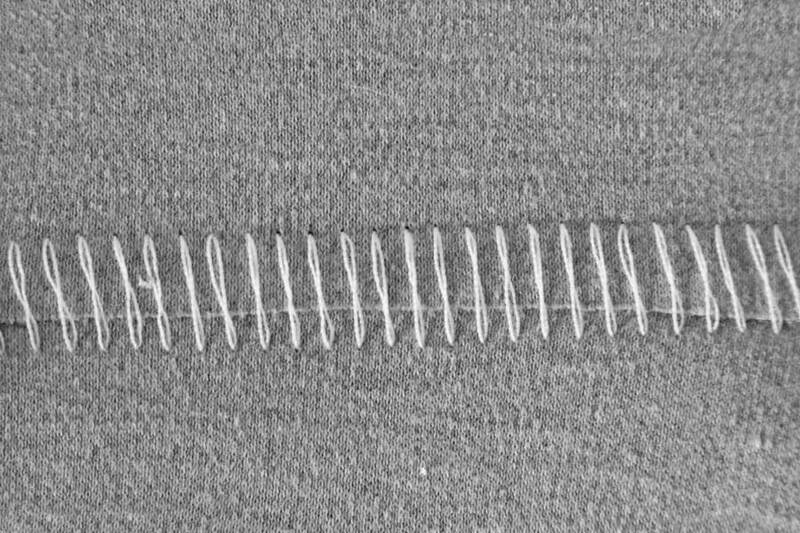 The Merrow 72-D3B-2 sews a flat 5/8" butted seam on knit tricot. 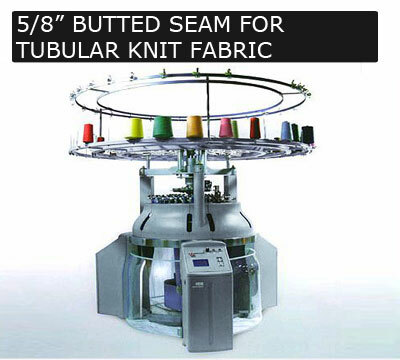 It has an extended feed system consisting of forward mounted cutters and an extra row of feed dogs to handle difficult fabric. 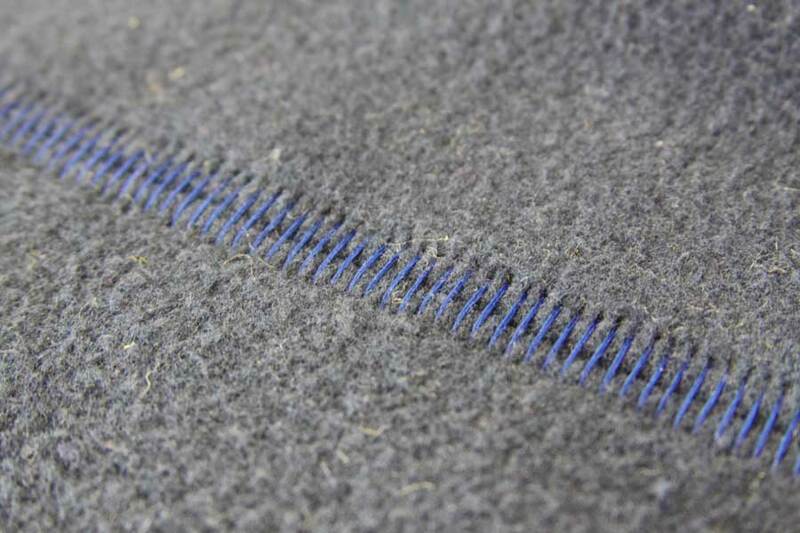 The feed system ensures that material is sewn evenly as it moves consistently across the work surface, allowing the 72-D3B-2 to operate without interrupting textile finishing processes.